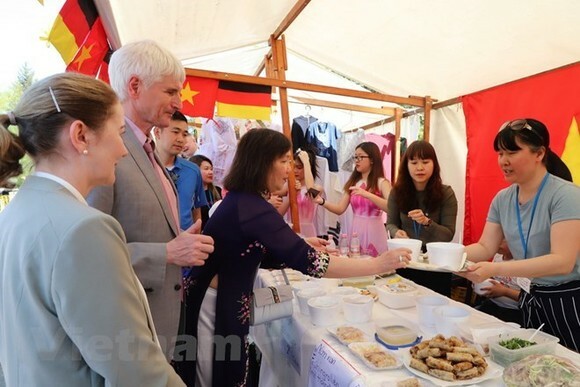 The Embassy of Vietnam was among 35 embassies taking part in the international culinary festival “Delicanto – Here the world eats” at the FEZ Centre in Berlin, Germany from April 21 - 22. Welcoming representatives from participating diplomatic missions from 35 countries to the event, Johannes Selle, Member of the German Parliament, said Delicanto is a good opportunity to connect different cultures all over the world. 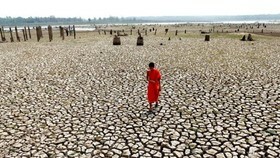 It also provides a platform for the countries to promote their images as well as distinctive culinary cultures to international friends, he noted. He added that in this event, embassies will meet and exchange information to boost their solidarity and deepen mutual understanding on other countries’ culture, food and people. Visitors to the festival acquainted with a variety of traditional foods and drinks as well as folk music and dances of many cultures.